Note: The AIRR Community is now a chapter of The Antibody Society and the AIRR Community web site has been moved to www.airr-community.org. This site is no longer being developed. Please update your bookmarks and references to this URL. The Adaptive Immune Receptor Repertoire (AIRR) Community is a community-driven organization that is organizing and coordinating stakeholders in the use of NGS technologies to study antibody (Ab)/B-cell and T-cell receptor (TcR) repertoires. Recent advances in sequencing technology have made it possible to sample the immune repertoire in exquisite detail. AIRR sequencing has enormous promise for understanding the dynamics of the immune repertoire in vaccinology, infectious disease, autoimmunity, and cancer biology, but also poses substantial challenges. To meet these challenges, we have established the AIRR Community. The AIRR Community and its associated meetings and workshops are designed to develop standards and recommendations for: (i) obtaining, analyzing, curating and comparing/sharing NGS AIRR datasets, (ii) using and validating tools for analyzing AIRR data; (iii) relating AIRR NGS datasets to other “big data” sets, such as microarray, flow cytometric, and MiSeq gene-expression data, and (iv) legal and ethical issues involving the use and sharing of AIRR data sets derived from human sources. The proceedings of the workshops, including the recommendations and action plans, will be published for the larger scientific community. The Second AIRR Community Meeting was held 27-30 June at NIH’s Fishers Lane facility. 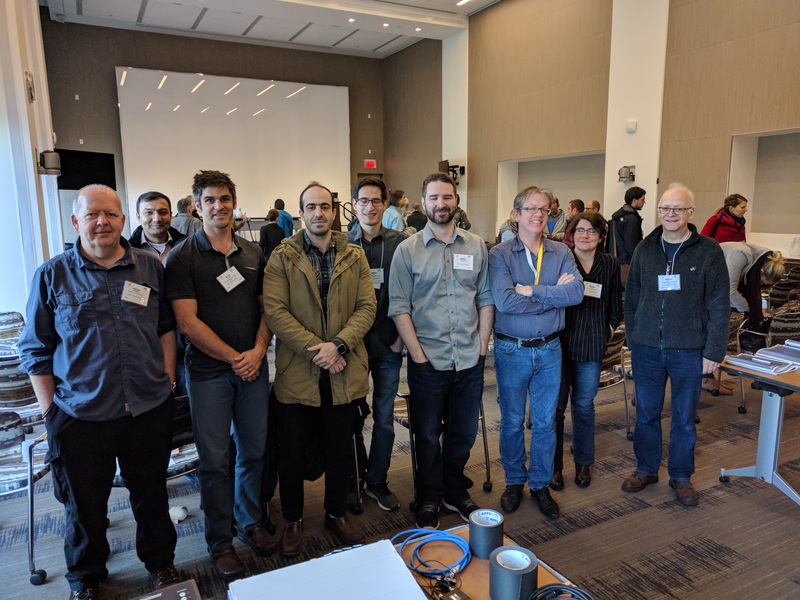 Please go to the Second AIRR Community Meeting page for the full meeting agenda, and a link to videos of the six sessions. The Third AIRR Community Meeting was held December 3-6, 2017 at NIH’s Fishers Lane facility, again to a full house. Please go to the Third AIRR Community Meeting page for the full meeting agenda, and a link to the recorded videos of the sessions. The first is an overview in Frontiers in Immunology, introducing the goals of the AIRR Community Initiative and inviting researchers to join our efforts. The second paper was published in Nature Immunology, and reports the Community’s recommendations for a minimal set of metadata that should be used to describe an AIRR-seq data set when published or when deposited in a AIRR-compliant repository. Who is the AIRR Community? The original AIRR Community meetings were the brainchild of Jamie Scott, Tom Kepler, and Felix Breden. The community now consists of several hundred AIRR Community stakeholders with working groups developing white papers, community standards, and planning future meetings.